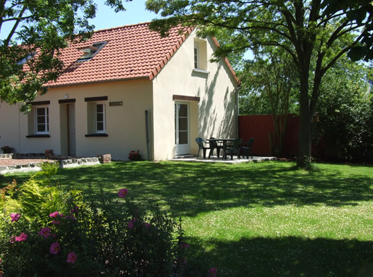 Situated in the quiet village of Hardecourt aux Bois at the point where the British and French Armies launched into The Battle of the Somme, Chavasse Farm is ideally situated for exploring the Somme battlefields. 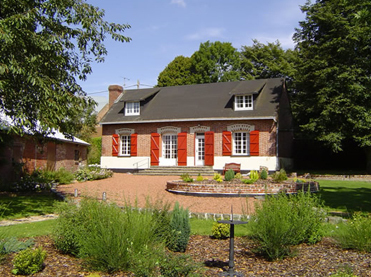 The Farm is within walking distance of some of the most infamous battlefield sites, including, Maricourt, Montauban, Carnoy, Guillemont, Maltz Horn Farm, Trones and Bernafay Woods to name but a few. Delville Wood is four minutes and Thiepval, The Ulster Tower and Albert are just fifteen minutes by car. 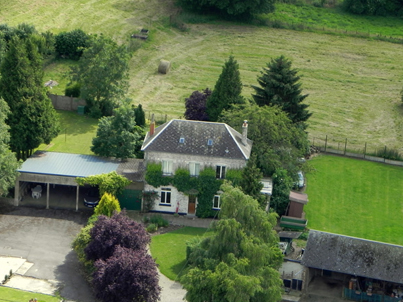 The Farm has three separate cottages available to rent as self-catering. Catering options are available (breakfasts, packed lunches and evening meals). Each property has UK Freeview TV and free WIFI Internet. Chavasse House sleeps up to twelve guests. Each property has UK free view channels and free WIFI Internet. Comprises of a lounge and dining room traditionally furnished, with an open wood burning fire (wood is available to buy in the barn). There is a television and DVD Player. Library bookcase where you will find nearly one hundred books on the Great War. There are also trench maps and a planned walk of the local area. Full equipped kitchen - gas hob and oven, fridge with freezer compartment, microwave, kettle, toaster and a full range of pots, pans, plates and utensils. Two large double bedrooms on the ground floor. Upstairs there are two large bedrooms. One bedroom has a double and two single beds, and the fourth bedroom has four single beds and with an extra washbasin. All beds are provided with complete bedding and bed linen. Two large bathrooms, one downstairs consisting of sink, bath with overhead shower and separate toilet a second upstairs bathroom consist of a sink, stand in shower and toilet (towels are not provided but can be ordered at extra cost). The property has oil central heating throughout which is easily regulated by a thermostat. In the barn/store is an extra freezer, washing machine and tumble dryer. Coury House was created from the conversion and renovation of the old farm stables. The cottage is fully modernised and comfortable, but still keeps some of the old features of the farm. Sleeps four guests in two upstairs bedrooms - one double bedroom and one twin bedroom. Each property has UK free view channels and complimentary WIFI Internet. Lounge features a wood burning fire, roof beams, stone and wooden floors and French windows opening onto a patio and barbeque area. The lounge has a TV and DVD the walls are decorated with local Great War memorabilia. Heated by under floor heating on the ground floor, wood burner and with extra electric wall heaters in the bedrooms and bathroom. Bookcase with a small library of ninety books covering mainly the Battle of the Somme and other Great War subjects. Fully modernised kitchen comprising of an gas hob, grill and oven, fridge with freezer compartment, microwave, toaster, kettle and a full range of pots, pans and utensils. Ground-floor bathroom comprising bath with an overhead shower, pedestal sink, toilet and large storage cupboard. Dupres House was created from the conversion and renovation of the old farm stables. The cottage is fully modernised and comfortable, but still keeps some of the old features of the farm. Sleeps four guests in two upstairs bedrooms - Two twin bedroom. Fully equiped kitchen comprising gas hob, grill and oven, fridge with freezer compartment, microwave, toaster, kettle and a full range of pots, pans and utensils. 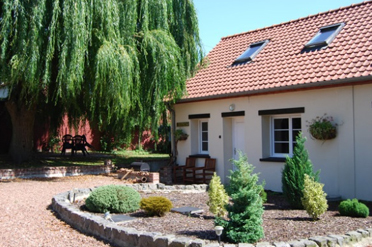 Situated in the village of Longueval on the Circuit of Remembrance, Snowden House is ideally located in the heart of the Somme Battlefields. One minute from Delville Wood and ten minutes from the Theipval Memorial. Within a few miles are infamous locations such as Montauban, Maricourt, Carnoy and Flers. Historic Snowden House and its grounds, were positioned on the front line for six weeks during the Battle of the Somme. During the Second World War the house and its barns were used by the local Resistance fighters. A secret radio station was located in the house cellar and weapons and equipment were hidden in the outhouses. The outcome being grave, the Germans raided the house, arrested some of the family and sent them to a concentration camp, none returned. Snowden House sleeps up to 14 guests in 5 bedrooms. The house is ideal for a family holiday or larger groups. The front bedrooms look over Delville Wood the rear Bedrooms look towards Trones and Bernafay Woods. The four bathrooms and kitchen are fully modernised. The living-room and dinning room both have wood burning fires a Great War library with hundreds of books covering the Somme Battlefields, UK Freeview, DVD and complimentary WIFI. Each room in the house is decorated throughout with local Great war memorabilia. Outside in the established gardens are two patios and BBQ. There is ample secure off road parking.